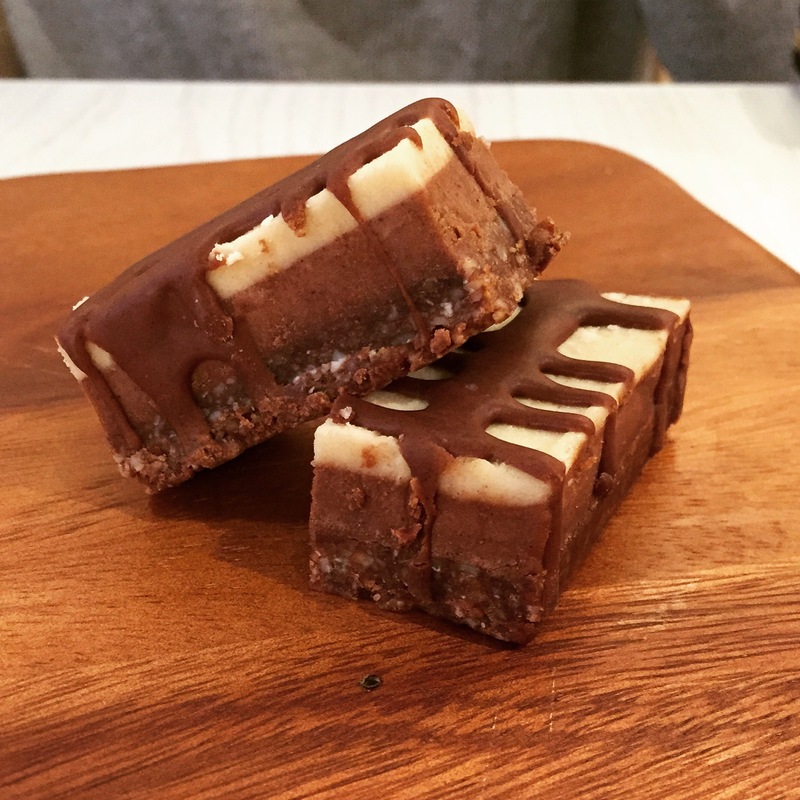 Brand new superfood cafe Pineapple Express Cafe opened earlier this month so we decided to check out what everyone was talking about! We both opted for two Green Bowls one savoury and one sweet. They both annoyingly arrived at alternate times. I tried the Pineapple Express Green Smoothie Bowl $12 – Banana, Kale, Spinach, Pineapple, Coyo Ice Cream, Ganola and Goji Berries (which were missing off my bowl). Whilst looking very impressive the base unfortunately was not as flavoursome as anticipated. 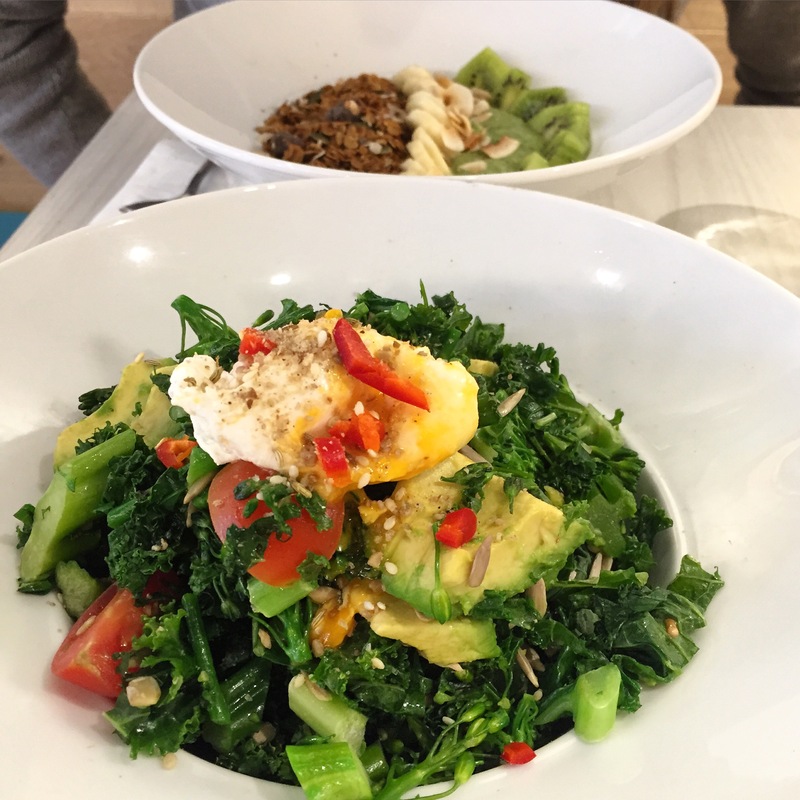 Ad had the Green Breakfast Bowl $16 which was similar to a giant salad – Kale, Broccollini, Sunflower Kernals, Cherry Tomatoes, Red Chilli and Avocado topped with a Poached Egg. All of the ingredients were vibrant and fresh although unfortunately it lacked flavour as there was no dressing. Because we were being oh so healthy we decided to try the Vegan, Dairy Free, Gluten Free “Top Deck” slice which set us back a costly $6.50. It was delicious but for $6.50 I would have expected double the portions. Located in the affluent Portside Wharf precinct although this cafe doesn’t boast any extravagant views. We visited the cafe on it’s tenth day open and it still seems to be getting its grounding. The staff were very scattered and we were told to be seated and had to ask for menus. 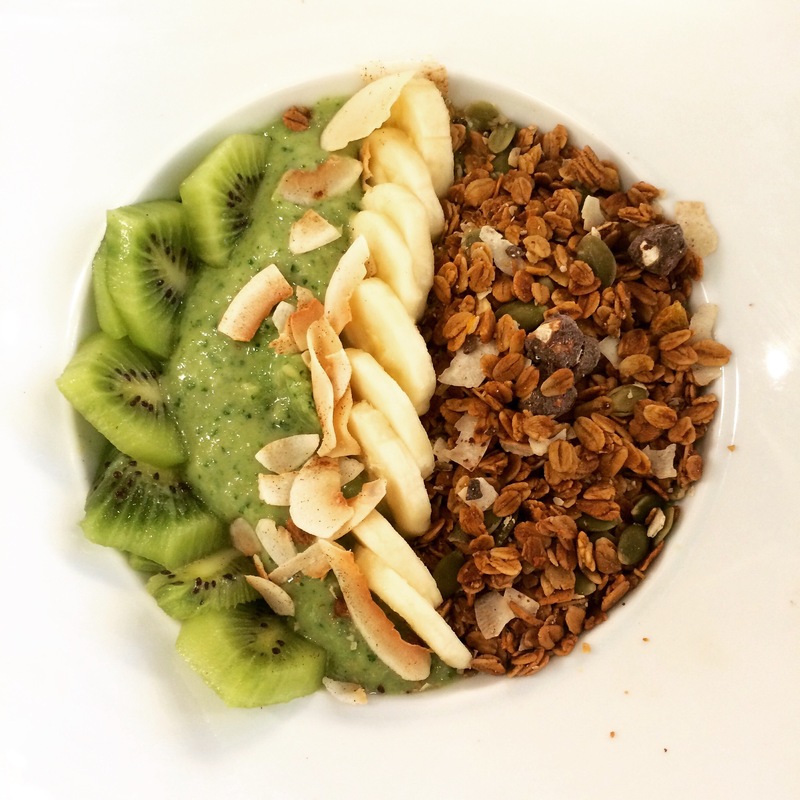 Confusion arose when I opted for the Green Smoothie Bowl and Ad decided on the Green Breakfast Bowl we almost ended up with the exact same meal! These kinks will be ironed out with time. This cafe seems to be all too available for by Brisbane standards – boasting opening hours from 5.30am until 5pm and 9.30pm on Friday and Saturday nights I am curious to see if these will change in the upcoming months. The Verdict: Pineapple Express has a lot of potential! This is the first cafe for the co-owners and they have put a lot of effort into a large social media presence. Often cafes establish themselves then increase their presence which is a safer option. The fit out is crisp and fresh and has a large target market in the area. Overall we rated our meals a 6.5/10 but that is not to say we won’t be back. There is still so much to try like the Vegan Coco Whip, new Lunch Menu and Cold Drinks menu. Next Post The P Word!